Click here to receive your exclusive invite, as we gather the troops, and prepare for launch! Join our mailing list for exclusive content! Watch this video to learn how Merit was born, see the vision behind the brand, and get sneak peeks on exclusive future product. 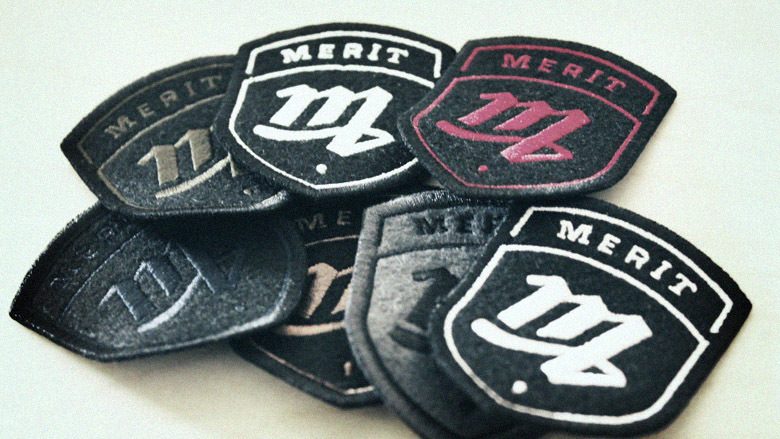 Merit creates fashion forward products that help committed, disadvantaged youth attain a college education. 20% of Merit’s revenue provides college scholarships for underserved youth. You can join the Merit Community here at MeritGoodness.com as we gather the troops and prepare for launch! Pat Maillet, Editorial Writer for the Michigan Daily, wrote this piece earlier this week, which features an overview of education in America & Merit! 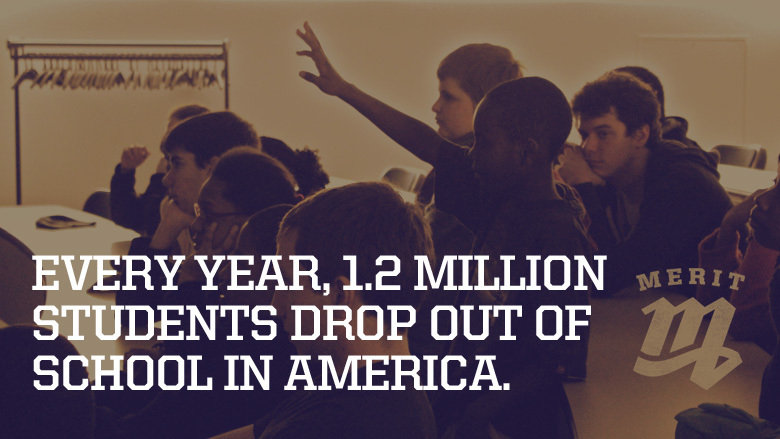 About 7,000 high school students will drop out of school in America today. Unfortunately, today is not a special day or some sort of organized movement. No, instead today is just another normal day that contributes to the more than 1.2 million high school dropouts per year in the United States. With rising costs in tuition and lower incomes, fewer people are able to afford a college education. And yet, a college education has never been more important. According to the U.S. Census Bureau, a person with a bachelor’s degree earned an average of $58,613 in 2008, while those with a high school diploma earned $31,283. Unfortunately, the importance of an education also has serious societal effects. 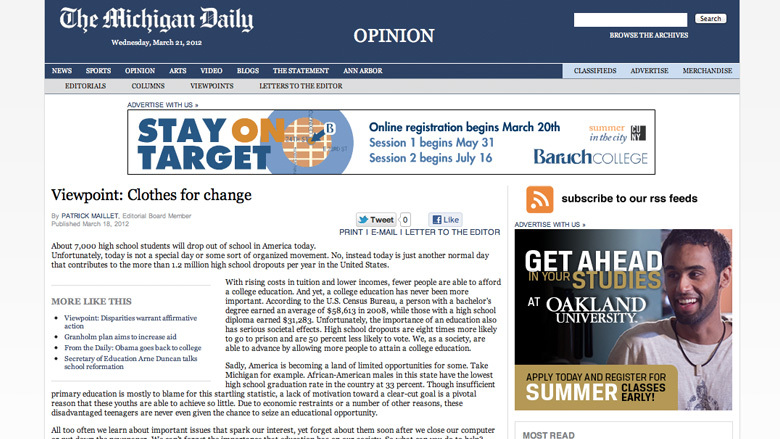 High school dropouts are eight times more likely to go to prison and are 50 percent less likely to vote. We, as a society, are able to advance by allowing more people to attain a college education. Everything. Leads. Right. Back. To. JOY. right guy. 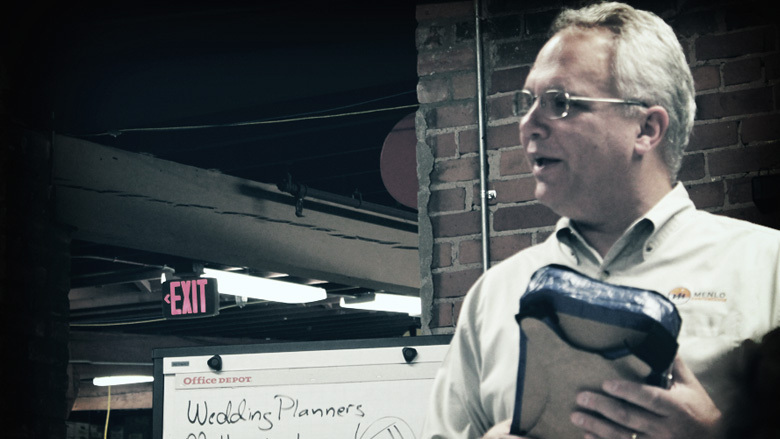 Richard Sheridan is one of the founders of Menlo Innovations, a company widely known for its unique approach to software development. I wanted to get some expert advice on agile development when designing a website/product using freelance designers and developers. So these guys aren’t in house and budget is a concern. (I guess budget is always a concern) Buy-in, another concern as well. You know those times when you ask someone you respect and admire to give you advice about something specific. And they give you an answer that doesn’t necessarily answer your question, but it somehow answers your question and a plethora of others if you look at it through a bigger lens. Mr. Sheridan’s feedback had nothing to do with software development. It had nothing to do with websites or user tests. Absolutely nothing. 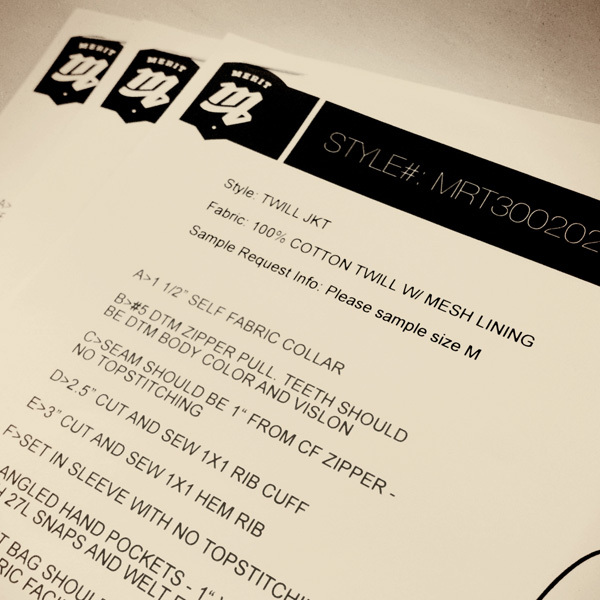 Even before an official brand launch, many have already pledged their support for Merit! 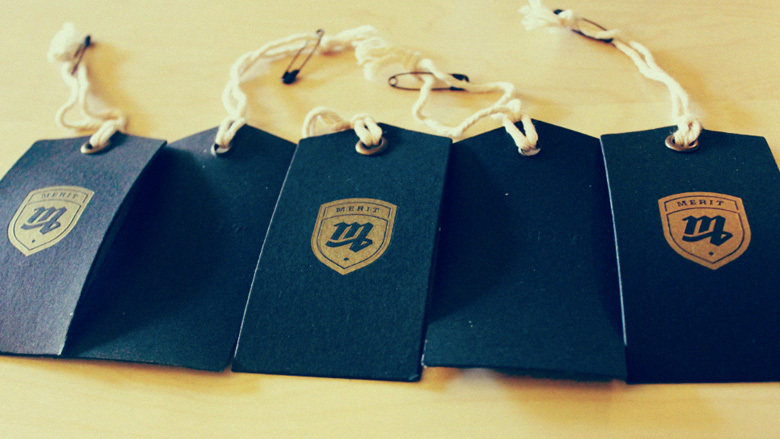 Merit creates fashion forward products that help committed, disadvantaged youth attain a college education. 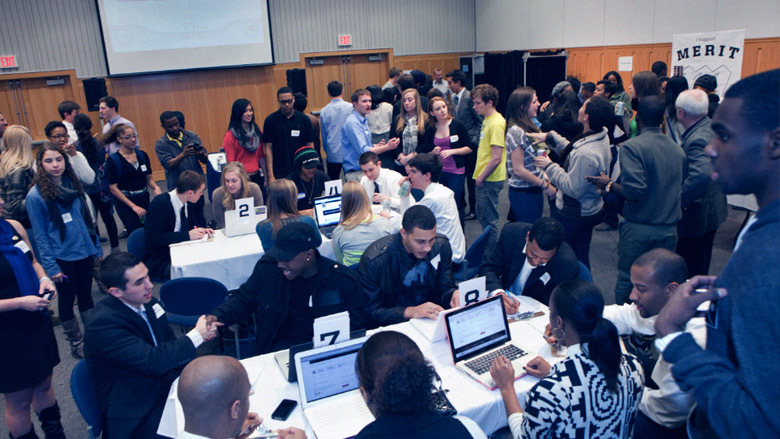 20% of Merit’s revenue provides college scholarships for underserved youth. You can join the Merit Community here at MeritGoodness.com as we gather the troops and prepare for launch. A staple of Merit. The badge. A badge of service. An identifier. For fashionable givers. - Merit is building an exclusive online community of fashionable givers. Get your free membership, by invite only, for Merit’s viral invite site!